Its March and still finding Roseate Spoonbills. Manatees have gone north for greener pastures. They will be hard to find until the fall, late October. Stiltsville, and Key Biscayne beach. A must stop for kids! Maybe my best stop! Only open certain times and days! 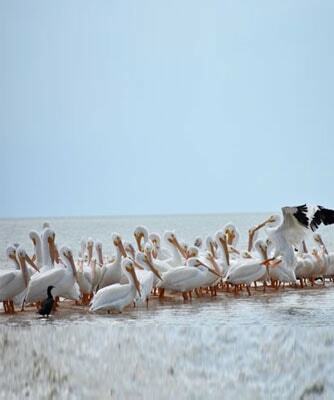 White Pelicans @ Ten Thousand Islands are gone until late October. art, and spectacular view of the bay. MIami Founder Henry Flagler: "I would have been a rich man if it hadn't been for Florida." Its March and the variety of wildlife continues to impress. Last trip saw two good sized pods of dolphins, roseate spoonbills, lots of wading birds, Eagles, hawks, Ospreys, 200+ White Pelicans, Calusa Shell Mounds, and two spots w manatees. Lunch stop at fishing docks for fresh Stone Crabs thru May in this Stone Crab capital. Manatees a little scarce in early March but return March 6th. 90 minute tour available for those with limited time or patience! 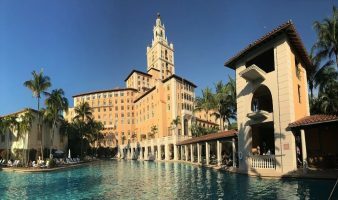 Pictured is the Biltmore, the best brunch and ambiance in Miami. I can find manatees 5 minutes from the port. And Wynwood is only 10 mintues away. Hotel to port is a minimum is 6 pax $10 per person. Groups of 10-14 must give 12 hour notice for luggage trailer. 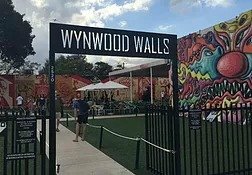 Let me show you some of Miami’s hidden gems that even the locals might not know! Keep your group cozy and together on your night out! We love Panther hockey games! WE DO NOT SERVICE NY JET FANS GOING TO THE DOLPHIN GAME! Miami Native Tours é uma empresa especializada em atendimento para Brasileiros realizado por um Nativo de Miami, Americano, quem conhece 20 estados Brasileiros. Deixe eu lhes mostrar um Miami que poucos Brasileiros chegam a conhecer. Minha especialidade e um pouquinho de city tour no caminho a Dolphin Mall. I am the most flexible guide in Miami. Very good at avoiding traffic. Van has a 14 pax capacity. I own my own vehicle. I don’t need to call anyone to see if we can change plans. Amazing.. The best tour ever!!! John took us to an super interesting ride. With him, we discovered a “new” Miami, lots of history and information. I have never come across anyone as knowledgeable as John when it comes to Miami and its history or culture. Actually, he can relate South Florida to almost any part of the world with first person experience and lively opinions! Definitely the best tour in Miami, I will hire him again!